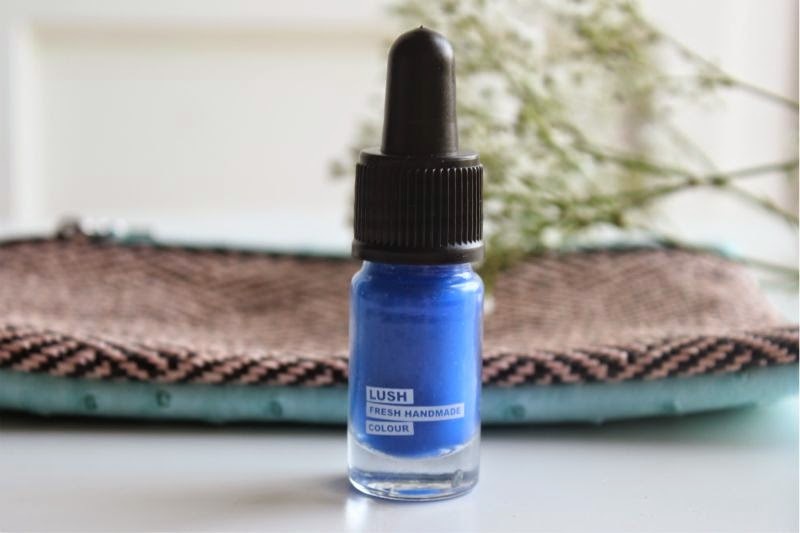 The very popular handmade skincare line, LUSH, has introduced a cosmetics line. 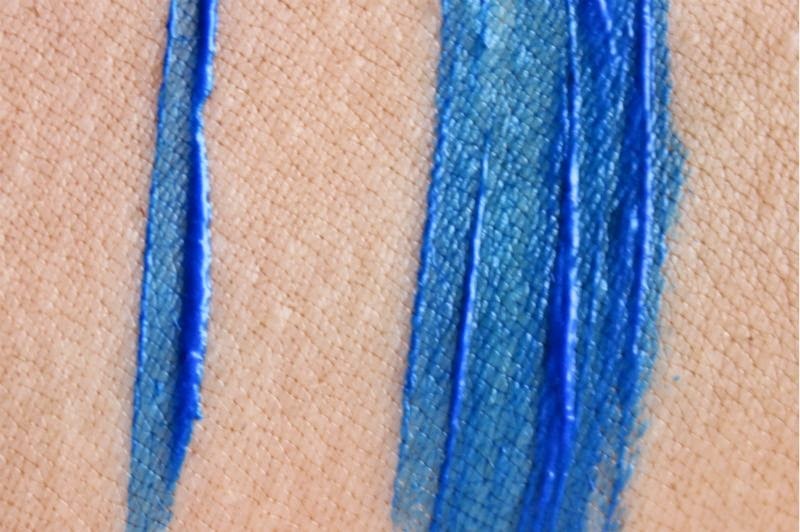 I have a few pieces from the makeup line to swatch and review for you, so let’s get started with their liquid eyeliner! AMOUNT OF PRODUCT: 0.2 oz. PACKAGING: It’s packaged in a clear glass bottle. 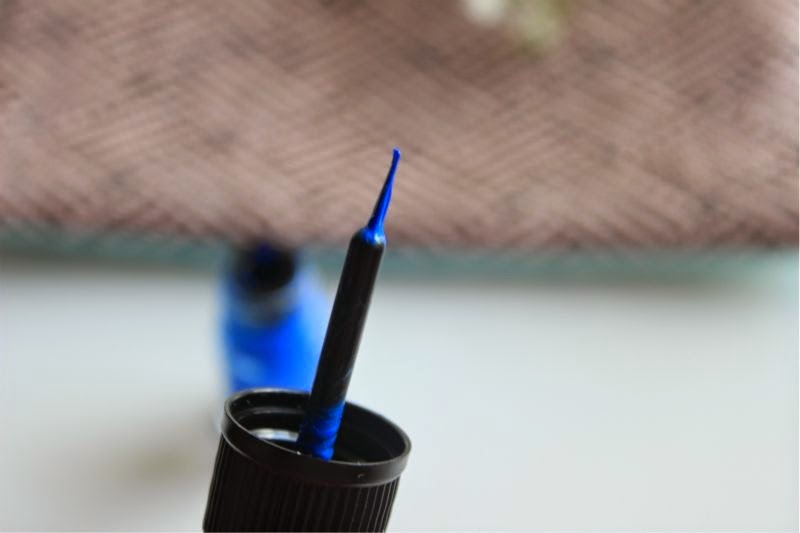 The top looks like a dropper from the outside, but it is actually a fine-tipped liquid liner brush. SIZE: About the size of a bottle of eye drops. Set the mood: Go bold and colourful, or less dramatic, these beautiful colours are easy to use and blend effortlessly into the skin to create a softer look if required. Soothe moves: The base is made with soothing rose petal infusion and skin-softening almond and jojoba oils to care for the sensitive area around your eyes. Take your time: Our eyeliners and eyeshadows offer beautiful colour which doesn’t set straight away so you have plenty of time to get your look just right. I absolutely cannot justify spending almost $20 on this eyeliner for my professional kit. I would be interested to see if LUSH ends up changing and improving their formulas as their cosmetics line grows. 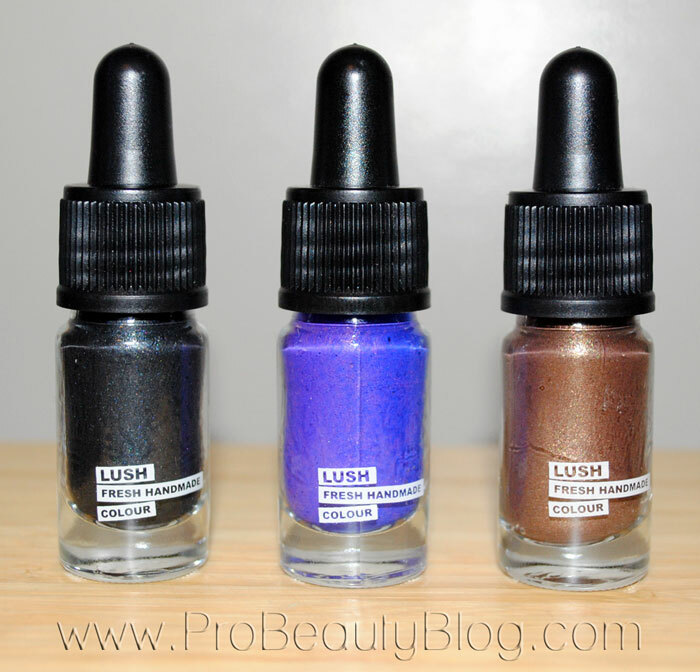 If you would like to purchase the LUSH Liquid Eyeliners, click [HERE].